The ActiveErgo Sit to Stand Desk is a versatile height adjustable desk which comes in three vibrant colors: Espresso, Cherry, and Gray. This desk can be used as a traditional office desk or as a standing desk. It comes with strong steel legs for durability and strength as well as a powder coat finish to prevent scratches. 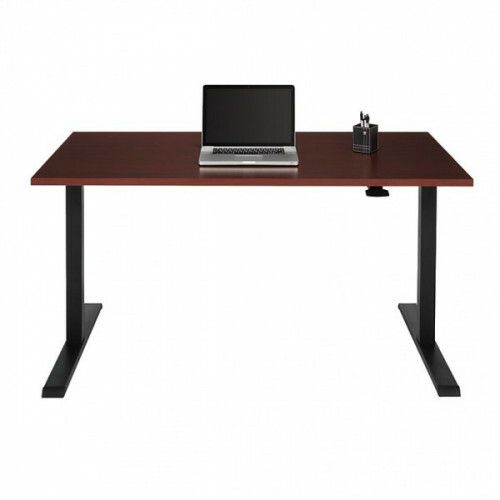 The wood table top is scratch resistant and will always look clean and professional in your office or home. With its pneumatic lift control, you can raise the height of your desk by gently pressing the lift so that you can work using it as a standing desk at your desired height. This Active Ergo Sit to Stand Desk allows you to have movement and increase circulation by not having to sit all day. Studies have shown that sitting for prolonged hours have risks associated with cardiovascular disease. For more information, contact Beverly Hills Chairs. One of my coworkers recommended a stand-up desk, to avoid my problems all together. But standing up for 9+ hours at work each day just seemed impossible. So it hit me – there must be sit to stand desk available out there. That’s when I discovered the ActiveErgo Sit to Stand Desk, just the device I was looking for. Besides the overall quality that makes the ActiveErgo desk exceptional, the appliance moves with high versatility. I have no problems at all alternating from sitting to standing throughout the day. And hey – now I find myself standing for more time than my doctor recommended. I feel great! I really like the ActiveErgo (formerly RealWood) sit to stand desk because the selection of the tops are really nice. They are very high quality and it makes my office look a lot nicer. I only wish you can customize the size of the tops. I wanted mine to be 72 inches wide instead of the 60 inches wide. Great fit for our offices. Easy installation. I chose them in the espresso which is similar to a light black. It is great for the employees, and for someone in IT, it makes my job more pleasant to have the ability to stand a bit during my workday. I use it with 2 28 inch monitors, so it is very sturdy. The ActiveErgo Sit to Stand desk is an affordable solution to the many overpriced standing desks flooding the market. It is 60" wide which is the perfect size for a desk. I went to see all 3 colors and they are glossy and makes the room pop in my office. I also like that it is seamless to use with the pneumatic lift. You just press and the table rises in height to your preferred height. With just a slight bit of pressure the table gets lowered down. This is a very easy way to have a height adjustable desk. I stand about 15 minutes per hour now and I really feel the difference. I do not feel like I am stuck in my chair all day. It is amazing how these things actually do boost productivity and keep me feeling healthy throughout the day. I should also mention it is a great great price. 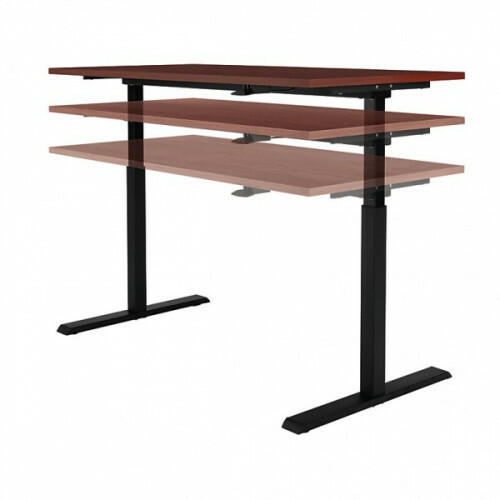 This sit to stand desk is 30x60 and is the only full sized sit to stand desk I have seen under $400. It is also very simple to put together which is always a treat.